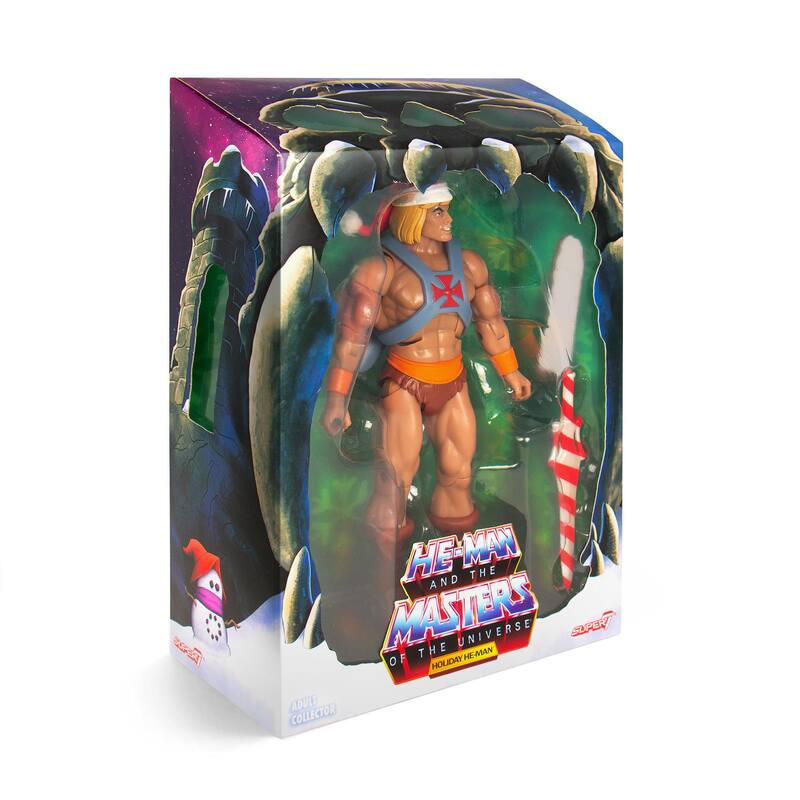 Super 7 has debuted a special Masters of the Universe figure that will be available to order on Cyber Monday. 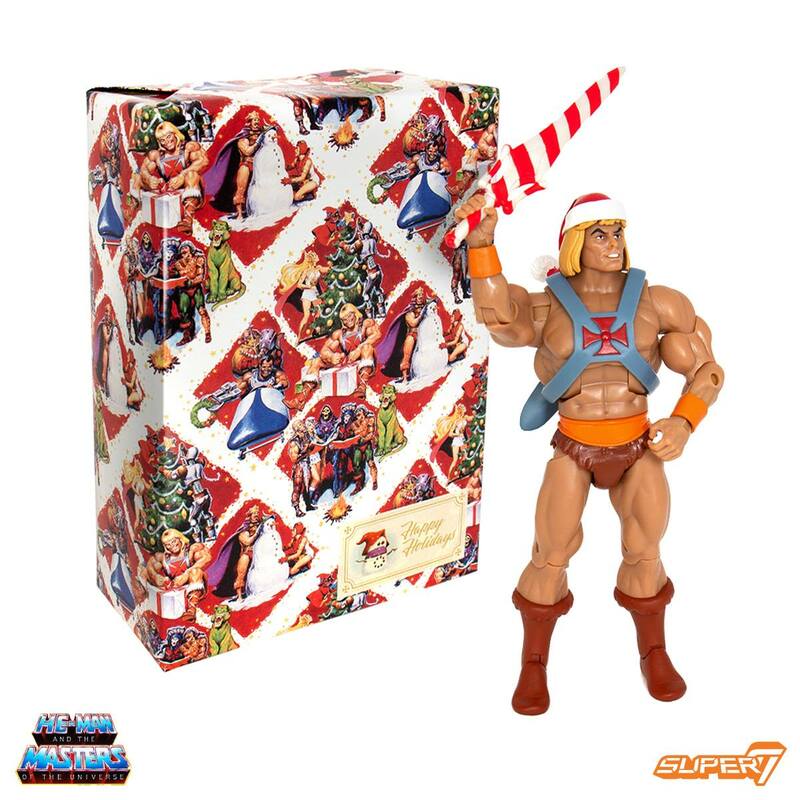 Check out their Christmas in Eternia – Holiday He-Man 7-Inch Club Grayskull Figure. 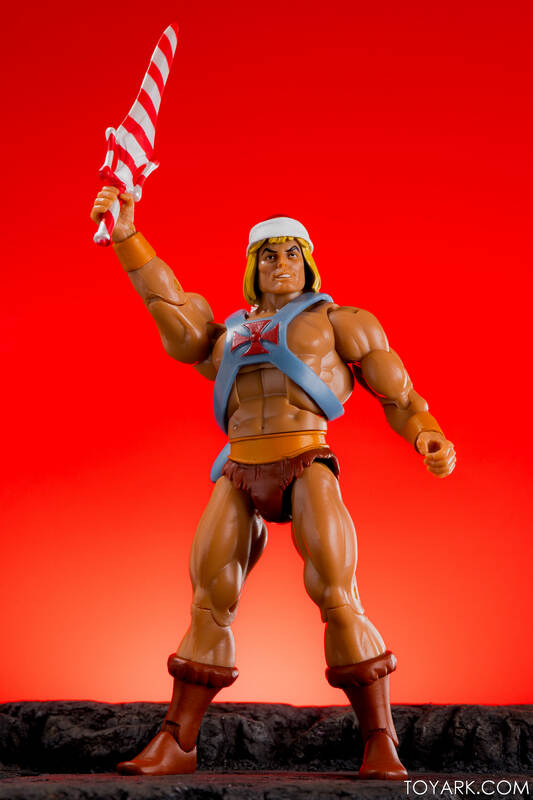 The figure takes their Filmation style H-Man, adds a Santa Hat to him and repaints the sword in candy cane style red and white stripes. 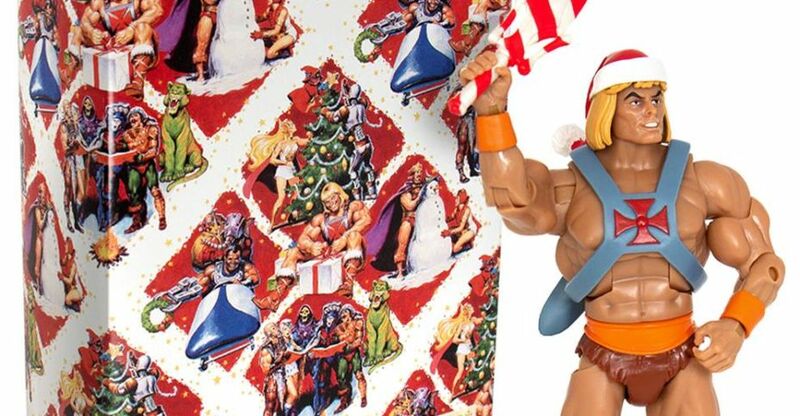 The box is wrapped in vintage inspired Masters of the Universe wrapping paper (perfect for placing under someone’s tree). 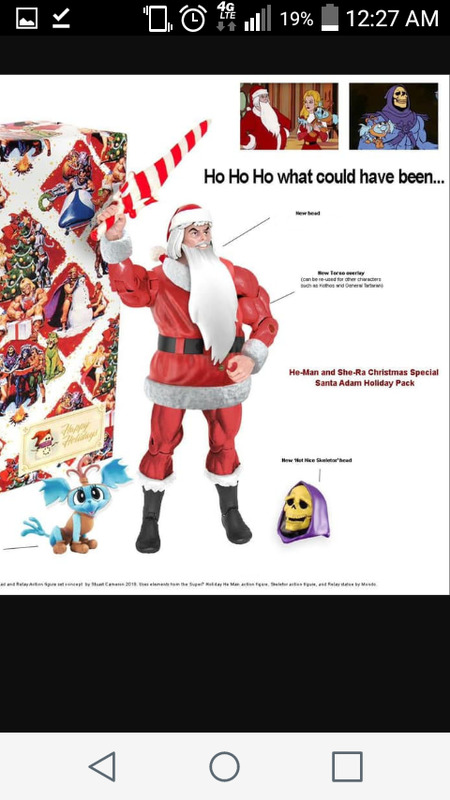 See details below and check out the images by clicking the headline of the story.